If you’ve ever wondered what it’s like to live the life of a mermaid, you’ll soon have the chance. Beginning in November 2018, the new & cutting edge underwater villa, Muraka, will be open for booking at the Conrad Maldives. Ready to see all of the amenities this underwater resort has to offer? Read on and let’s dive in together. While the Maldives has plenty to offer with its famous Conrad over-water hideaways, this underwater resort is the definition of cutting-edge and created for those who love to experience life in a whole new & innovative way. 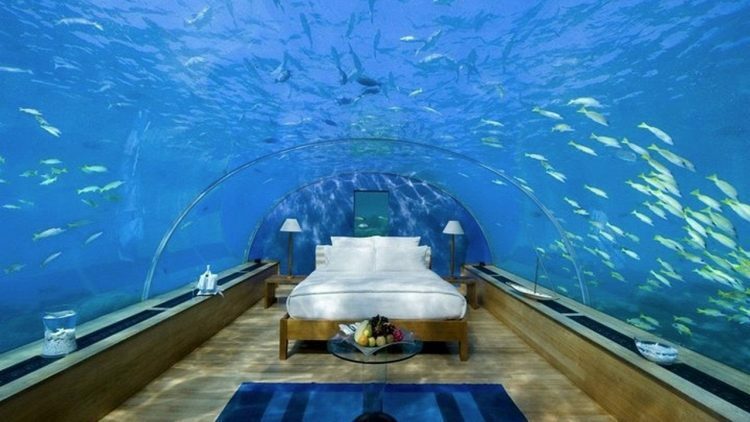 To sleep and vacation beneath sea level (16.4 feet, to be exact) is to expand your travel experiences beyond what you ever thought possible. 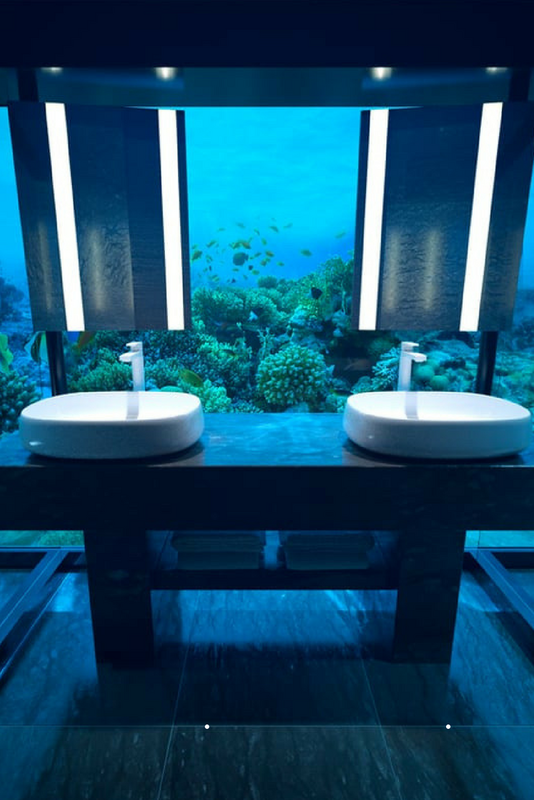 Through modern design and advanced technology, designer Ahmed Saleem and builder Mike Murphy created this underwater haven by combining both technological innovation and aquarium-inspiration. They planned and built the villas to last but also gave options with their upper level villas as well. So, if you’re not quite ready to take the step of sleeping in an underwater villa, take faith in the above water options and simply dine and explore the underwater amenities during the day. If you know you’ll be needing to come up for air, take the spiral staircase to the upper level deck where you’ll find a sunset-facing relaxation deck and infinity pool. Instead of gazing up at the night sky like in the Conrad above-water villas, you may be staring up at mystic underwater waves and possibly, all the beautiful sea life that the Indian ocean is known for. It’s truly a whole new perspective of the world. 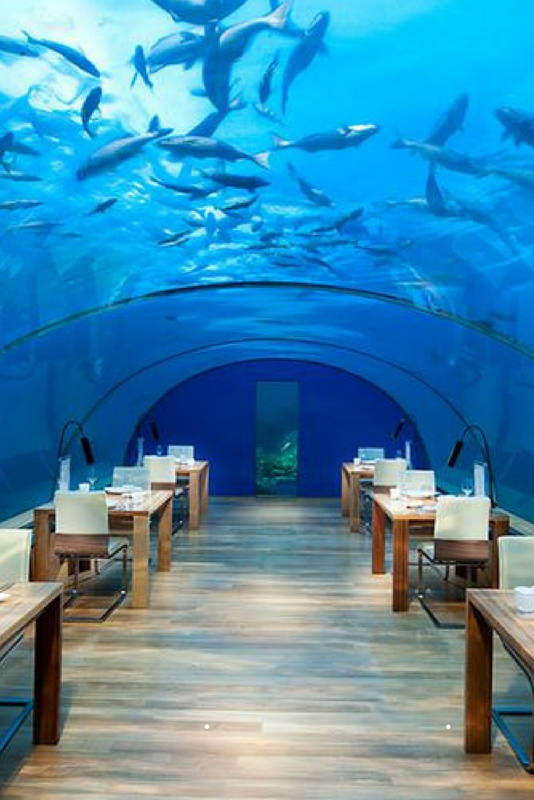 Whether or not you’d like to sleep underwater, underwater dining is a must. One of the most anticipated amenities of the resort is its undersea dining and spa services. 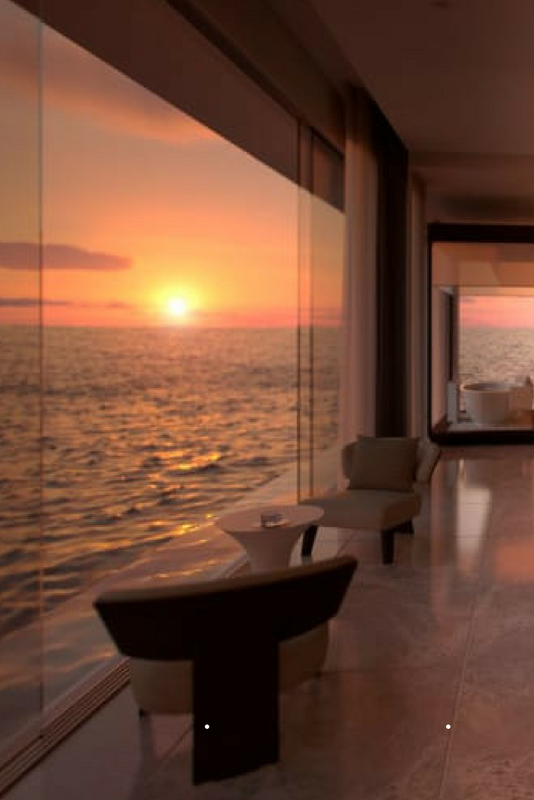 There are multiple villa suites to choose from, all including a panoramic view of the ocean. While you can choose a suite with both an upper and under level space, they’ll also have classic options for smaller parties of one or two. If anything, you’ll want to stay up to date on all that the upcoming Muraka resort has to offer. One of our favorite things about this resort is the new perspective it gives on all things traveling and destination experiences. Will you be booking your undersea experience for November 2018? Share your thoughts and excitement below! « Ask Leslie: How Do I Style a Large Blank Wall?